Eight months into Emmanuel’s immigration detention, the 36-year-old asylum seeker was leaking urine in three different places on his body. He’d had surgery roughly twenty years prior in his native Nigeria that left a scar on his bladder. As an immigration detainee in Georgia—with no criminal record—the shackles he was made to wear for an off-site medical visit were so tight that his old wound was reopened, and leaking. “I almost passed out. I told the guy that they were hurting me and that I’d had surgery there back in Nigeria. The guy said he was just protecting his job,” said Emmanuel, who preferred not to give his last name for security purposes. It was another seven months before Emmanuel received the surgery he needed to close up the old scar on his bladder. Meanwhile, he suffered intense pain and multiple infections. Emmanuel is just one of more than 80 detainees interviewed in a report released earlier this year by Project South, an Atlanta-based non-profit, and Penn State Law’s Center for Immigrants’ Rights Clinic. “Imprisoned Justice,” details inhumane conditions inside two immigration detention centers in Georgia— Stewart Detention Center—the largest in the country—and Irwin County Detention Center. The report paints a grim picture. 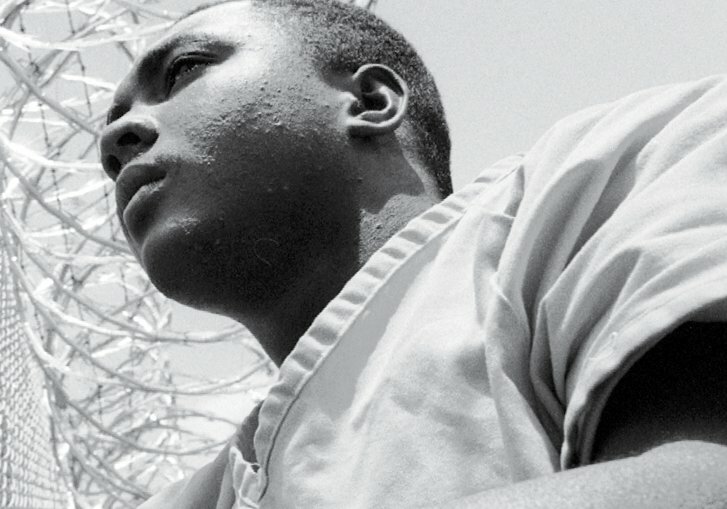 Detainees reported hunger and malnutrition due to insufficient meals, extremely meager payment for work (as low as 13 cents an hour), lack of access to legal help, solitary confinement, and deeply inadequate medical and mental health treatment. Altogether, detention in these Immigration and Customs Enforcement (ICE) facilities bears far too much resemblance to criminal incarceration, and sometimes worse, despite its non-punitive purpose. And because immigration detainees usually don’t know how long they’ll be detained, the indefinite nature of the confinement adds a layer of psychological torment. The findings add to a growing body of evidence showing that ICE persistently flouts a 2001 Supreme Court ruling that detention should not amount to punishment, and that the agency routinely violates its own performance and treatment standards. Rather than moving to remedy this, in the weeks following the report’s release, both ICE and its parent agency, the Department of Homeland Security (DHS), made budget requests to Congress for $4.9 billion and $2.7 billion respectively. The funds, officials said, were needed to drastically increase the quota of immigrants in detention on a daily basis from 34,000 to over 51,000. When ICE’s acting director, Thomas Homan, appeared before a House subcommittee to explain the budget request in June, he said that undocumented immigrants should be “uncomfortable.” “You should look over your shoulder, and you need to be worried,” he warned. Homan’s comments laid bare something that was already quite apparent. In the short time between the release of “Imprisoned Justice,” and Homan’s address to lawmakers, three detainees died in ICE custody. Seven detainees had already died since the beginning of this year; with the recent spate of deaths, total detainee deaths in 2017 climbed to ten. Two of the recent deaths happened in ICE’s Georgia facilities within a day of one another. On May 16, 58-year-old Atul Kumar Babubhai Patel died of congestive heart failure after being transferred to a hospital from the Atlanta City Detention Center, a jail originally built to warehouse homeless people during the 1996 Olympics that now contracts with ICE. The day before Patel died, officials at Stewart Detention Center found 27-year-old Jean Carlos Jimenez-Joseph dead in his cell. The young man had spent 19 days in solitary confinement before apparently committing suicide. A few days earlier, members of El Refugio, a hospitality organization that serves the family members of ICE detainees, had attempted to visit Jimenez-Joseph upon his mother’s request. She worried that her son was suffering from depression and asked the group to check on him, but officials at Stewart turned them away. Both Stewart and Irwin detention centers are about three hours outside Atlanta, in very small towns—Stewart is in Lumpkin, with a population of 1,300, and Irwin is in Ocilla, with a population of 3,400. The remoteness of both facilities makes it difficult for detainees to see their lawyers and families much, if at all. One immigration lawyer interviewed for “Imprisoned Justice” noted “a significant lack of lodging” around Stewart, “making it very difficult to spend more than a day there, after making the very long trip.” That makes it hard to meet with the client prior to their initial hearing, he said. Several detainees said that they’d never been visited by their families because of the distance. The isolated locations of both detention centers make phone calls to the outside a critical lifeline for detainees. But calls come at a high price. Detainees at Stewart and Irwin reported paying 5 dollars for 15 minutes on the phone. ICE standards state that there should be “reasonable and equitable access” to phones—that includes free calls to government offices related to immigration and legal services and free access for detainees who can’t otherwise afford to use the phone. Detainees can work in the kitchen, bathrooms, or elsewhere on the grounds at both Irwin and Stewart, but they often make just one dollar per day (sometimes, but rarely, they earn as much as $4 per day). At Stewart, detainees alone are responsible for cleaning the bathrooms, which are reportedly covered in mold and may have non-functional toilets or showers. On the weekends, detainees can be paid in extra portions of food instead of cash. For those who labor for cash, it generally takes a full week of work to afford a 15-minute phone call. Detainees at both facilities said that cafeteria food is frequently spoiled or expired, with “foreign objects” sometimes found in meals. Hair, plastic, bugs, rocks, a tooth, and mice are among the items detainees at Stewart said they discovered in their food. At Irwin, a rock and a nail were reported found in food. “The food is rancid and I’ve lost seventy pounds since being here,” said one Stewart detainee. “I found a worm in the ground beef once. On top of all that, the water smells like feces.” Some people boil the water in their cells before drinking it; some have reported getting rashes from the water in the showers. “The shower water is green and anytime I drink any water, I get headaches,” said a Mexican detainee at Stewart. Despite complaints about the water, bottled water is not sold at the commissary, according to a Honduran detainee. “Coffee is $4. The prices are too expensive,” he said. Another detainee believes the facility intentionally serves inadequate meals “so we will have to buy food from the commissary,” where he spends $80 per week. Lack of access to medical care at both facilities is “alarming,” according to the report. At Irwin, “The wait times can be tremendous. Detained immigrants reported wait times between two days and two weeks before being seen by medical staff.” For mental health care, detainees reported that solitary confinement, called “segregation” in the detention centers, is too often the remedy of choice by staff. Detainees said they were afraid to voice mental health concerns for fear of being forced into the segregation unit. Solitary confinement is used not only to house persons who express mental health concerns, but also for disciplinary purposes. Punishment has been doled out for everything from helping a fellow detainee translate a letter to English, to not tucking in one’s shirt, to filing grievance reports and participating in hunger strikes. Stewart detainees reported being in solitary for multiple months, though ICE standards set a maximum limit of thirty days. Detainees subjected to these conditions are less likely than their counterparts in other states to escape them. Immigrants detained in Georgia are one-third more likely to be deported than detainees elsewhere, and less likely to be granted a bond rate they can afford. Stewart’s immigration court—next door to the detention center—has the highest rate of deportation in the country. Some detainees waited months in detention before seeing a judge. The average wait for immigrants in detention in Georgia is almost two years. Emmanuel, the man with the bladder injury, was eventually released from Stewart on parole. He had been in detention for over a year, and had lived without proper medical care for his bladder rupture for seven months. He was released three days before his surgery was scheduled—leaving him to pay for it on his own. He only had $19 to his name; he’d spent the rest of the $1,000 he arrived with on phone calls and commissary food twice a week. Emmanuel had originally flown to Atlanta from Lagos in August 2015 fleeing persecution back home, where he had “a religion issue.” He explained that he’s Christian and that his association with friends who were gay caused him trouble. The detention centers, though under ICE jurisdiction, are operated for profit by corporations—Stewart by Core Civic, formerly Corrections Corporation of America (the subject of an in-depth Mother Jones investigation), and Irwin by LaSalle Corrections. Neither Core Civic nor LaSalle Corrections responded to inquiries from Scalawag, but an ICE spokesperson told a local newspaper that the findings in “Imprisoned Justice” are unsubstantiated. Project South and Penn State Law conclude that Stewart and Irwin should be shut down, among other recommendations. As Congress hashes out the 2018 federal budget, it seems likely that many more people could soon face such hellish conditions, as thousands of undocumented immigrants without any criminal record, some who have been in the country for years and are deeply rooted in their communities, are rounded up by ICE to fill a higher quota. But a coalition of Georgia human rights organizations has been working to hold the state’s detention centers accountable ever since Stewart opened in 2006. They say the public shouldn’t lose sight of the fact that ICE is a young agency subject to change. “ICE did not exist until March 2003,” said Kevin Caron of Georgia Detention Watch in a press statement responding to the deaths of two Georgia detainees in May.